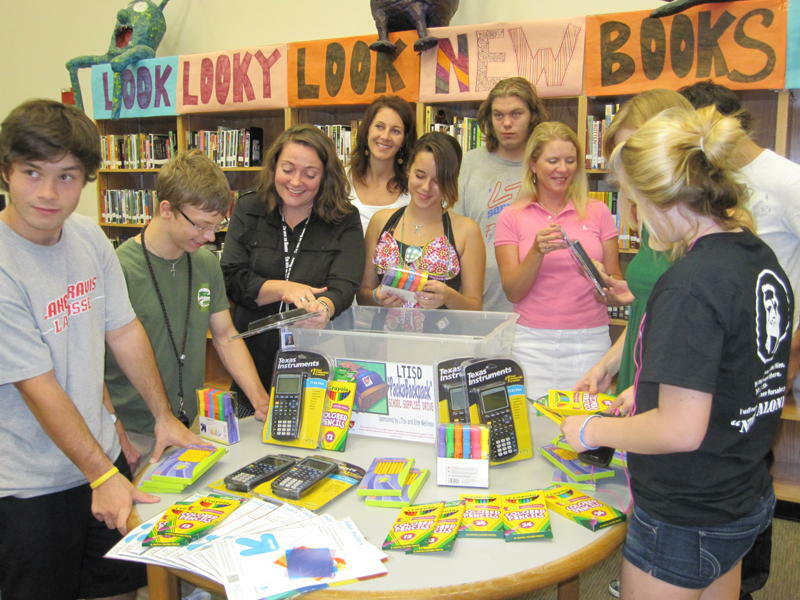 Since 2010, LTlov has organized school supply drives in the Lake Travis community to provide LTISD students coded Economically Disadvantaged with the supplies they need to succeed in school. Project Supply Pack was officially established and successfully completed for the 2016-’17 school year after piloting it last year. This initiative, part of LTlov’s School Supplies Program, allows us to purchase prepackaged campus and grade specific school supplies directly through each LTISD elementary and middle school’s supply ordering program. Students receive these supply packs on their desks at each campus’ Back to School Night events. We received applications from 95 families for 199 students. Following the deadline we received an additional 65 applications for 98 students in need of help. These requests were filled by community donations. 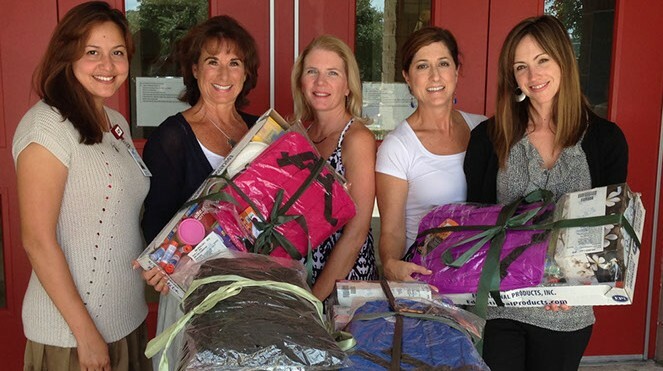 Our sincere and heartfelt thanks belong to the Ladies of Charity-Lake Travis who provided $5000 in funding for Project Supply Pack, the Lake Travis Crisis Ministries and PODER who promoted and provided our Project Supply Pack Application, LTHS student Caroline Storm who collected surplus 2015 supplies from LTISD campuses that were used to fill Pre-K application orders, Austin Ridge Church who donated 25 backpacks filled with supplies for Lake Travis High School application orders and HEB, Lakeway for their generous donation of 40 backpacks. As qualified participants in For the Children, Inc, we received 30 boxes of basic supplies. As always, we are humbled and extremely grateful for the consistent generosity of the Lake Travis community who provided 130 backpacks, many basic supply items and $2,420 in cash donations which were used to purchase specific supply items and to fill campus with list requests, including a request from Lake Travis Elementary School for 100 personal head-sets. Thank you to the businesses who hosted our collection bins: Lake Travis Community Library, Strandz Salon, Chick-Fil-A, Kuper Sotheby’s, Bee Cave Family Chiropractic, Moreland Properties, Elite Wellness, the World of Tennis and WOT Pilates. In total we served over 300 students in the LTISD school area with the supplies required by each child’s campus and grade level. Remaining supplies were used to stock “teacher’s closets” at the high school coordinated by Ms. Jennifer Gidley, AP Environmental Science teacher and at Lake Travis Middle School. We would also like to extend our considerable gratitude to the Lake Travis School District and Mr. Darnell Horton who kindly coordinated a room for us at the LTHS Annex to receive, sort and re-distribute supplies to students whose families missed the Project Supply Pack order deadline and to the many volunteers who dedicated approximately 100 service hours to this much-needed program. 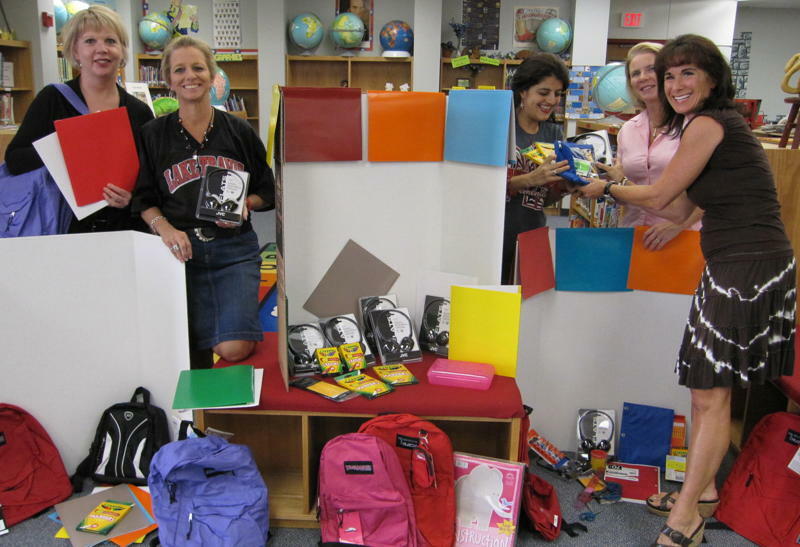 Through generous donations of school supplies, backpacks and cash the Lake Travis community came together and provided our district’s economically disadvantaged students with a great start to the new school year. Nearly 300 campus and grade appropriate school supplies, most of which came neatly packed in a brand new backpack, were distributed directly to students in need through the Lake Travis Crisis Ministry and PODER prior to the start of school. We consider ourselves blessed with the phenomenal outpouring of support and compassion from this great lake community. In addition, as part of a new LTlov initiative, Project Supply Pack, 102 LTISD students coded economically disadvantaged received pre-purchased school supply packs on their desks at campus “Meet the Teacher” events. Applications for this program were made available through PODER and the Crisis Ministries. Plans are underway to expand this opportunity to help even more students through both the gift of preparedness and the gift that comes with avoiding the social stigma associated with being a child in constant need. We especially thank the Ladies of Charity, Lake Travis for the generous donation that helped launch Project Supply Pack. LTlov would like to thank everyone who donated to this great program, in particular Austin Ridge Church and For The Children, as well as our amazing donation stations: World of Tennis and WOT Pilates, Strandz Salon, Bee Cave Family Chiropractic, Chick-Fil-A, Prosperity Bank, Elite Wellness, Kuper Sothebys, Lake Travis Community Library, Luxe Salon, Moreland Properties, Café Lago and both the Cielo and Madrone Apartments. 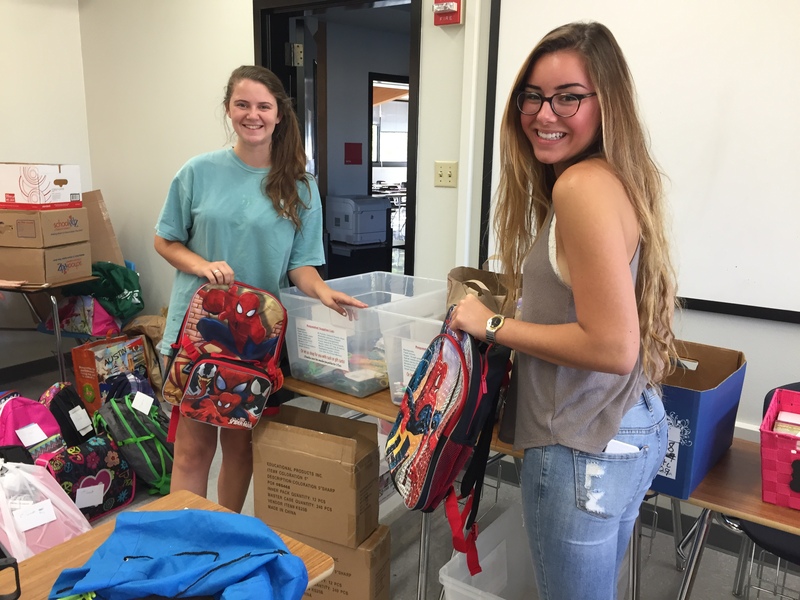 LTlov also recognizes the hard work of the volunteers at the Lake Travis Crisis Ministry and our student and community volunteers who generously donated their time to make our sixth annual school supplies drive so successful this year. 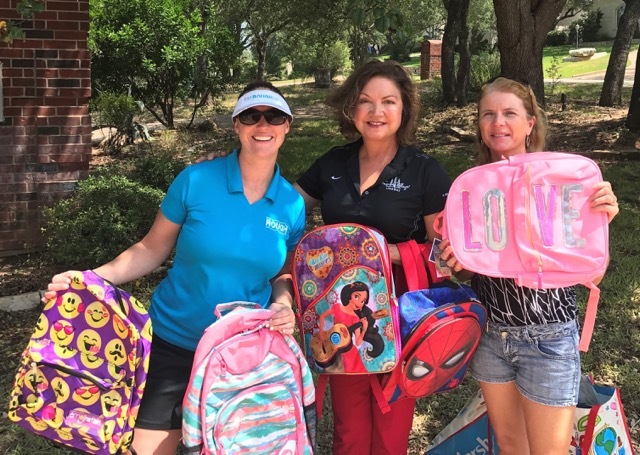 LTlov was recently named the “designated coordinating non-profit for helping families of LTISD,” and our 2014 Back to School supplies allowed us to do just that. The Lake Travis community once again showed what a great and compassionate place we live in. We collected 62 bins full of backpacks and supplies along with just over $2,700 in cash donations – a fantastic outpouring of generosity for LTISD kids whose families struggle to provide these much needed supplies. For their very generous donation of 40 full school supply sets with a backpack, haircut voucher and shoe voucher, we would like to especially thank Bee Creek United Methodist Church. Of note, for the first time this year, LTISD, through LTlov, was able to benefit from the Austin citywide ‘For The Children’ supply donation event. LTLov would like to thank the following businesses and organizations for hosting donation bins and for promoting this great cause: Elite Wellness, Strandz Salon, Sothebys, Chic-Fil-A, The Lakeway Church, Moreland Properties, Luxe Salon, Don Rucker Tire & Wheel, The World Of Tennis and W.O.T. Pilates, Prosperity Bank, Bee Cave Family Chiropractic and the Lake Travis Football Huddles & Heels event. We could not succeed without the support of our business community and, more than that, we could not succeed without each person who brought a donation. 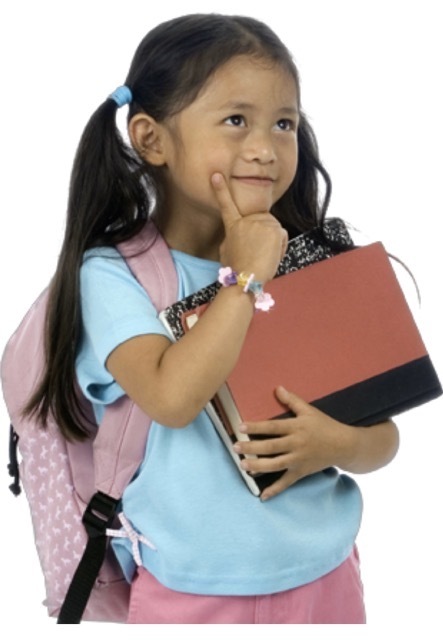 This year each and every student in the Lake Travis School District can be prepared to succeed! It all added up for LTlov’s 4th annual “PackaBackpack” School Supplies Drive thanks to Lake Travis residents and businesses! Each year LTlov puts out a call for help on behalf of local families who cannot afford to send their children to school with the supplies they need to succeed. Our community’s resounding “Yes!” resulted in the most successful collection, to date, for LTlov projects and programs. Thanks to you, our children will not lack the materials necessary to the learning process. Thanks to you, teachers will not need to supplement from their own paychecks. Thanks to you, it added up beyond all expectations! In addition to the amazing amount of general supplies donated, our cash donations enabled the purchase of 42 flash drives for HBMS, 40 personal headsets for LTE and 15 graphing calculators for LTHS’ library lending program. A big cheer for Kevin and Pat from Best Buy at Bee Caves for all your help with these purchases! We are especially grateful to the businesses who hosted our collection bins and promoted “PackaBackpack:” World of Tennis and WOT Pilates, Sotheby’s, Elite Wellness, Strandz Salon, American Bank, Luxe Salon, Moreland Properties, Don Rucker Tire & Wheel, Bee Cave Family Chiropractic and Art Affair. Thank you, Kathleen Hassenfratz, LTISD Health and Social Programs Coordinator, for organizing the distribution of supplies to the individual campuses. May all of our students, teachers and administrators enjoy a success-filled school year. LTlov wrapped up a 3rd successful school supplies drive for LTISD with a special delivery to Lake Travis Elementary School. In addition to a vast quantity of general supplies donated by our generous community, LTE received 40 personal headphones and 25 tri-fold display boards. 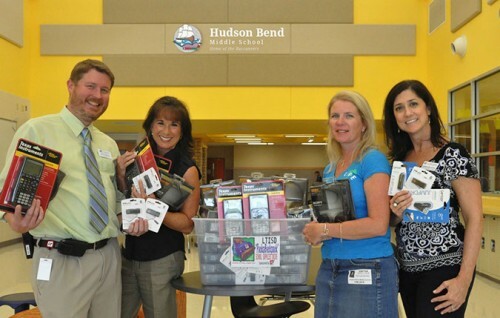 Hudson Bend Middle School received 40 flash drives and Lake Travis High School was gifted with 5 graphing calculators for their student lending program. The “PackaBackpack” School Supplies Drive is a community effort to provide supplies for children K – 12 whose families struggle financially and are not able to meet these critical needs for their children. LTlov would like to especially thank American Bank, Bee Cave Family Chiropractic, Corrective Chiropractic, Don Rucker Tire & Wheel, Elite Wellness, Hillcrest Bank, Old Navy and Sotheby’s for graciously acting as donation stations for the drive. 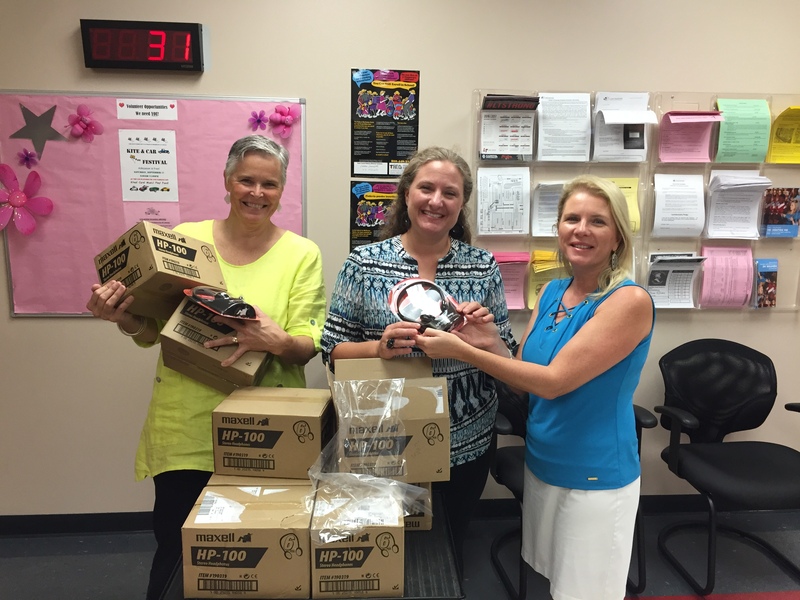 Thank you also to Kathleen Hassenfratz from LTISD for coordinating the distribution of supplies within the district. Many students in LTISD enjoyed the fruits of LTlov and co-sponsor, Elite Wellness’s, very successful “PackaBackpack” School Supplies Drive. Over 175 backpacks filled with much-needed items were delivered to grateful principals and counselors, and will be given to students who need them. “The extreme generosity of the Lake Travis community is at the very heart of our success,” reported Melinda Bily, LTlov chair for the drive. Special thanks to American Bank, Emmaus Church, the Bee Cave and Lakeway/Lake Travis Rotary clubs, and Keller Williams, who all contributed time and resources that allowed us to far exceed our original goal of 100 backpacks! LTlov is acccepting applications for the next school year. Download, complete, and return the following application. Return instructions are included on the form.